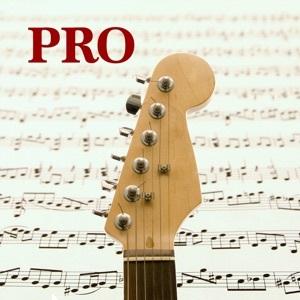 This app has been created to help you to improve your Guitar Sight Reading skills. This is the ad-free version. 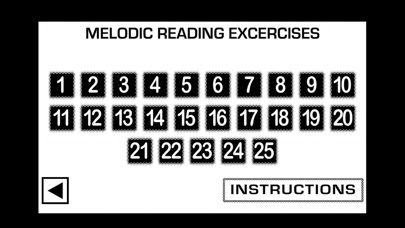 It presents two sections: - MELODIC READING - RHYTHMIC READING The MELODIC READING SECTION is to practice sight reading of notes on the virtual Guitar. 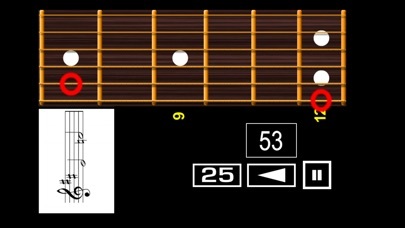 When each exercise begins you must click on the Guitar fret and string corresponding to the notes that are heard and which you must read at first sight. 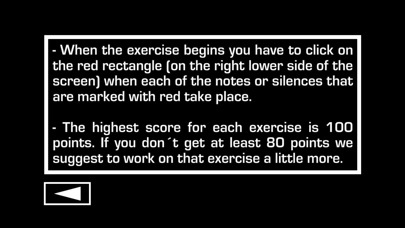 The highest score for each exercise is 100 points. If you don´t get at least 80 points we suggest to work on that exercise a little more. The RHYTHMIC READING SECTION is to practice sight reading of rhythms for Guitar on different time signatures. 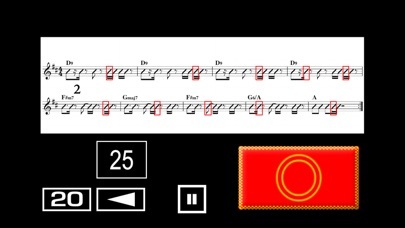 On each exercise you have to click on a button when each of the notes or silences that are marked with red on the staff takes place. The highest score for each exercise is 100 points. 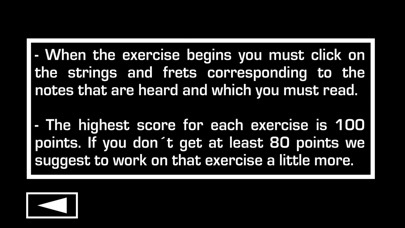 If you don´t get at least 80 points we suggest to work on that exercise a little more.